3D printing is the process of creating a physical 3D object from a digital model. The digital model is prepared for 3D printing through a process called slicing, where the software breaks down the printing process by each layer. When the slicing process is done, the software sends the information to the 3D printer, which prints one thin layer of the melted filament at a time. When the filament has cooled down, the 3D object is complete. Insert the end of the filament through the filament hose and feeder at the top of the machine. Open your design in Silhouette 3D® and select your print settings. Select “Print” and the software will then automatically determine the layers to print. 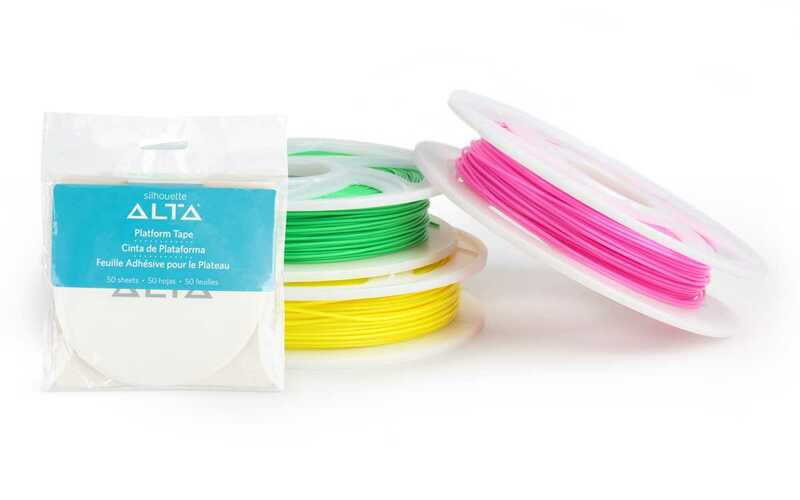 When you are ready to print your design and your nozzle has heated up to the correct temperature, the Alta will begin printing your object. When the machine is done printing and the filament has cooled, you’ll have your 3D object. The Silhouette Alta 3D Printer is the 3D printer for beginners and enthusiasts alike. It can create models out of PLA filament (1.75 mm) and is great for a variety of customized projects. The Silhouette Alta® is competitively priced at P22,000.00 and comes pre-assembled, pre-calibrated, and ready to plug and play right out of the box. That means you can start printing your unique 3D objects right away. Included with the Silhouette Alta®, you also get the Silhouette 3D® software to customize your 3D designs for print. This software is unique because it’s a one-stop shop; you can design and slice your objects then send the printing instructions to the printer, all through Silhouette 3D®. This is a game changer! Many 3D printing systems don’t allow you to design and slice within a single software. Along with this, the Silhouette 3D® software can import your .studio and 2D files from Silhouette Studio®, giving your 2D designs a new dimension! Watch the Silhouette Alta in action! Curious to know more? Simply message our Facebook page!Our product specialists are more than happy to answer any questions you may have.